Introduced once at a Packers banquet as the franchise’s godfather, Turnbull led the effort to turn them into a community-owned team, served as their first president under a nonprofit structure and used his business acumen to ensure their survival as other small-town clubs dropped off the NFL map. One of the owners of the Green Bay Press-Gazette, Turnbull set in motion the events that pulled the Packers out of a sea of red ink and led to the creation of the Green Bay Football Corporation in August 1923. First, Turnbull urged the team’s owners to accept a substantial financial loss and play a Thanksgiving Day game in 1922 against Duluth. He told them that if they went ahead and played despite a 12-hour rainfall, he would rally local businessmen behind the team. A week later, 150 community leaders and ordinary fans attended a meeting called by Turnbull. A public stock sale followed and raised more than $5,500. In 1927, Turnbull rallied supporters again to pitch in more money to preserve Green Bay’s place in the NFL. At the time, the league was in the process of paring its membership almost in half and eliminating most of its small-town teams. Turnbull also represented the Packers at those crucial league meetings. Of course, it didn’t hurt that other owners thought highly enough of him to assign him to a committee in 1926 to redraft the NFL’s constitution and bylaws. Turnbull was elected president of the Packers on Sept. 17, 1923, and served until June 27, 1928. He was part of and oversaw what began as a five-man executive committee and 15-member board of directors.  He resigned from the executive committee and board of directors on Aug. 9, 1949. Widely respected in NFL circles, Turnbull was appointed to the league’s executive committee in February 1928, as he was about to turn over the reins of the Packers. Turnbull held the titles of business manager, general manager and publisher during his 45 years as an owner of the Press-Gazette. Born Feb. 26, 1884, in London, Ontario, Canada. Given name Andrew Blair Turnbull. Began his newspaper career in 1899 and moved from Saginaw, Mich., to Green Bay in 1915 to form the Green Bay Newspaper Co., publisher of the Press-Gazette. Died Oct. 17, 1960, at age 76.